CedarStone Bank continues its long tradition of supporting McGavock High School by sponsoring the “McGavock Student of the Month”. The student of the month for January is McGavock junior, Takeya Johns. 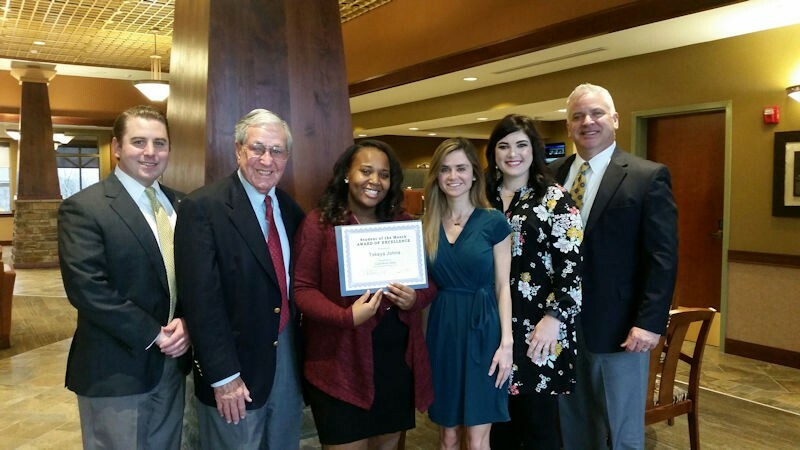 Presenting Takeya with her certificate is the CedarStone Bank Donelson office staff, (from left) Robert L. McDonald, Asst. VP/Relationship Mgr., Willie McDonald, Business Development Officer, Takeya,. Mallory Baker, Customer Service Representative, Noel Steele, Teller and Troy Putman, Donelson Office Manager. CedarStone Bank is the official bank for McGavock High School and enjoys a relationship dating back some 45 years with Donelson banking legend Willie McDonald.